The innovative Talky™ sign by x sign can be controlled by the press of a button, designed to aid navigation for those with sight loss. 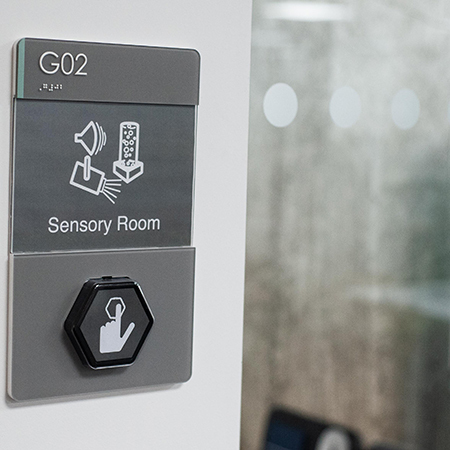 When partnered with xsign 3D cutting edge print technology, Talky signs can satisfy all disability current legislation whilst extending access with new ease of use. Interchangeable graphics inserted into the button’s lens allow for bespoke and creative design of symbols and pictograms.